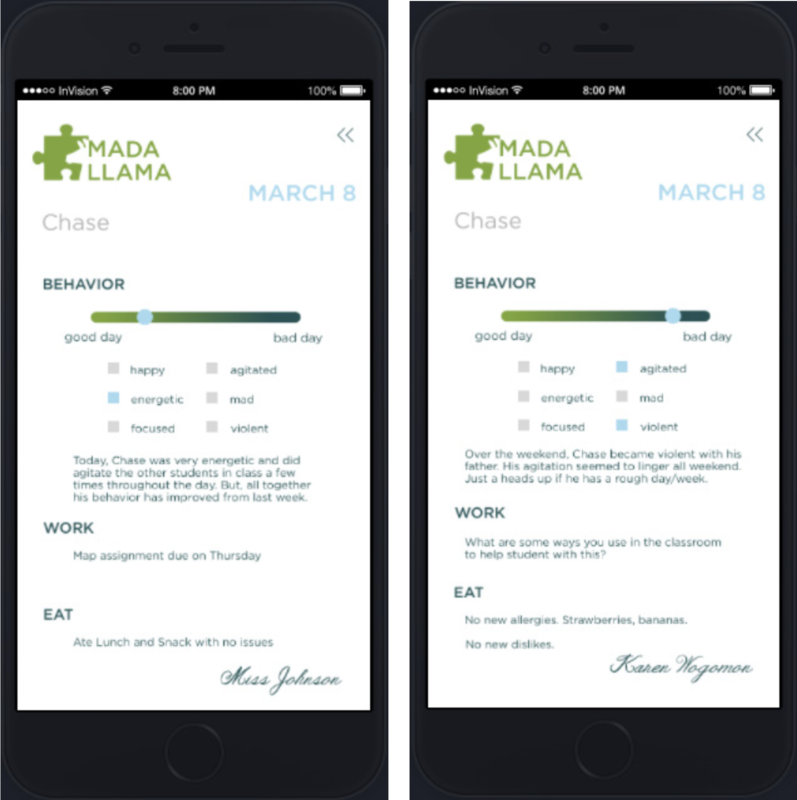 Mada Llama is a tool that with help increase communication between teachers and parents of children with autism. The name Mada Llama is derived from a French phrase “mains dans la mains”, which means “hand in hand”. The choice behind that was that through the app parents and teachers are working hand in hand to help their student. Mada Llama is broken into two different profiles. Teachers are able to set up a profile with their class lists.The goal is to allow the teachers to easily form daily reports about their students that are immediately sent the the student’s parents.The teachers can report on the student’s behavior, eating habits, and school work done throughout the day, as well as view reports the parent made while the student was at home. The teachers will be able to view any report at anytime, all reports are saved under the students name. On the other side, parents are able to reports on the same topics, but from a home perspective. Teachers like to have a heads up on any changes with the student. It helps them monitor the student during the school day. Parent can also view reports that have happened during the school day. 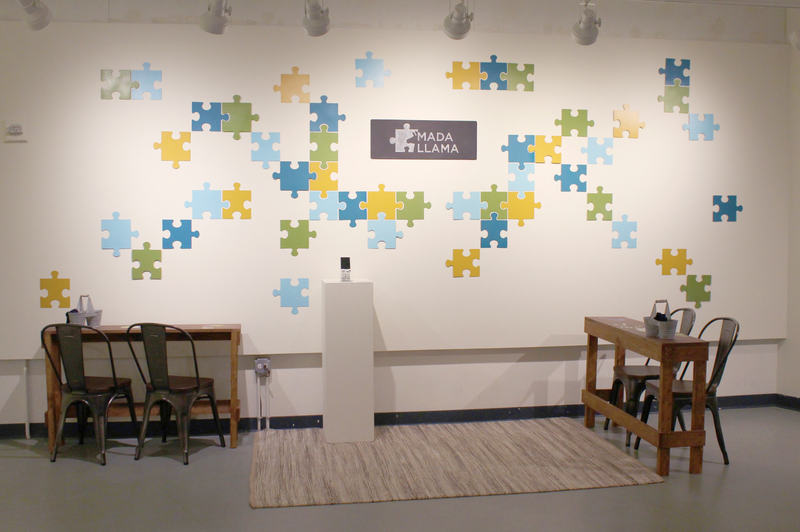 Mada Llama hopes to create an open environment in order to increase the learning ability of the student.